Attendees of the 2015 SCI Hunters’ Convention will have the opportunity to stop by booth #3155 and watch international award-winning wildlife artist and 2011 SCIF Conservation Artist of the Year Joshua Spies at work painting his latest masterpiece. Spies paints through real life experiences and travels the globe hunting and photographing wildlife. Spies is a dedicated conservationist and through his artwork has helped raise millions of dollars worldwide for this effort. He is a life member of the Grand Slam Club, Foundation for Wild Sheep, the Rocky Mountain Elk Foundation, Pheasants Forever, Safari Club International, Ducks Unlimited, Dallas Safari Club and ISHA. He is also a member of Whitetails Unlimited, Mule Deer Foundation, Delta Waterfowl and the National Rifle Association. Spies is a past winner of the Federal Duck Stamp competition, and Wildlife Art Magazine named him one of the top 16 wildlife artists. He currently lives and paints in Watertown, South Dakota with his wife and their two sons. 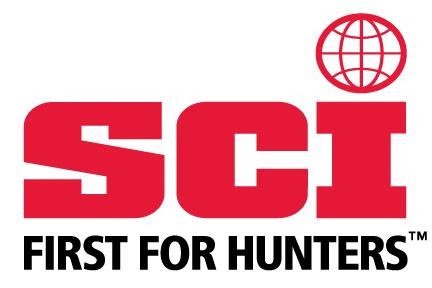 the largest and most successful event to raise money for advocacy to protect hunters’ rights. The 2015 Hunters’ Convention will be the largest in the organization’s history with nearly a million square feet of exhibits and 2,500 vendors. or call 520-620-1220 for more information.